Summer is right around the corner and camp is on our minds! We’re dusting off the Spirit Stick, breaking out the sunscreen, polishing our orange “Go BIG” sunglasses, and getting ready to love our summer at ESF. 1. 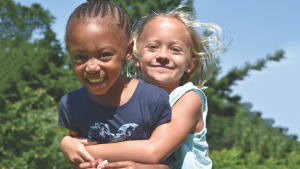 Making new friends: Summer camp bonds are built upon fun, exploration, adventure and community. The experiences that happen at camp emphasize forming new friendships and rekindling old ones. The friends that cheered with you to win a Spirit Stick challenge at morning assembly, encouraged you to climb the Rockwall or played by your side in a World League game are the friends you will have forever. 2. Building character muscles. We thread opportunities throughout camp for kids to strengthen their character muscles. Our activities are designed to fuel gratitude, optimism and happiness while fostering respectful, kind and positive interactions. We believe in teachable moments that encourage effort, trust and resiliency while helping campers recognize opportunities for growth, learning and reflection. 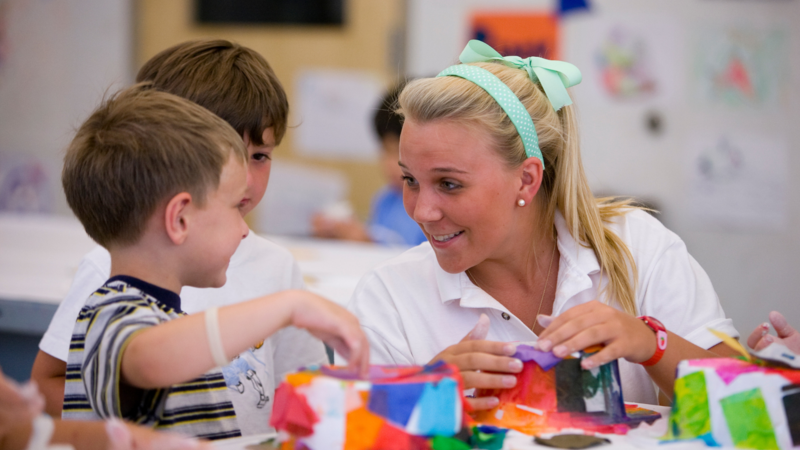 We build leaders through a supportive and nurturing camp community. 3. Building a stronger sense of confidence and independence. Campers know that they can step up and strive to achieve more because they always have the safety net of camp to support them. From becoming a better swimmer, athlete or artist, camp is the best place to get out of your comfort zone and grow in your self-assurance. Each day at camp offers opportunities to try something new, grow, take healthy risks and conquer your fears! 4. Developing new skills. Whether it’s swimming, sports, archery, art, or coding, the realization that you can do something new or accomplish something you never dreamed possible can foster a newfound sense of pride and self-determination. 5. The ability to truly be yourself at camp. Camp is about self-discovery! It is a place to grow, explore and try new things with complete faith that you will always have people cheering you on. 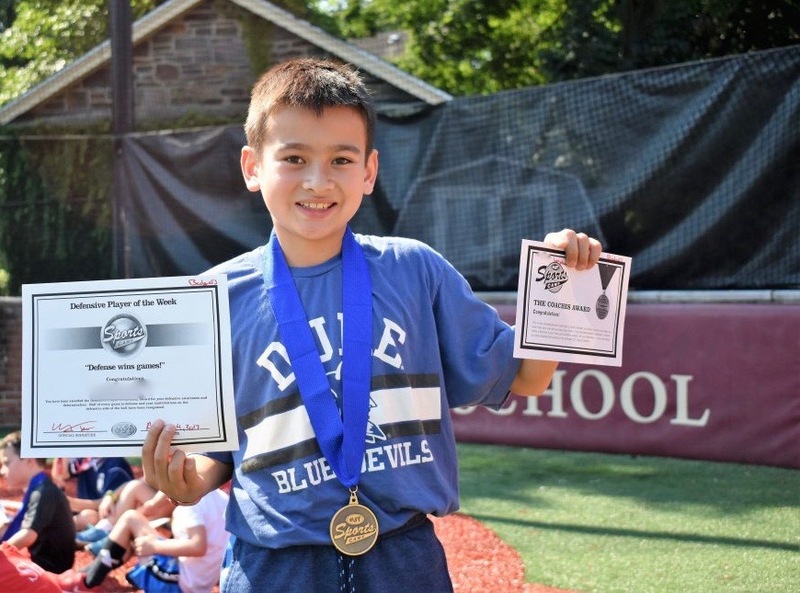 ESF feeds the power and passion within each camper to help them blaze their own unique path each summer. 6. Becoming a Captain, Scout, or Ambassador. No matter which camp you are in, being chosen to be the leader for the week is a special moment and an important role. The exciting experience of being acknowledged for your hard work and leadership is beyond compare. 7. Finding role models in our amazing staff members. ESF’s staff members are living examples of what it truly means to be selfless and love unconditionally. Our campers learn so much from them. On the last day of the summer, campers traditionally ask their favorite counselor, coach or Director for their name tag or ESF shirt to take home as a special keepsake. 8. Camp traditions. The Spirit Stick, World League, The Oracle, Ultimate Games— every camp has its own set of time-honored traditions that are so unique and special that you can only understand them if you experience them! Cherished deep-rooted traditions build connections and life-long community. 9. Being able to just sit and talk with a fellow camper or staff member. Summer camp friendships are the strongest around because camp offers so many opportunities to really get to know your counselors and fellow campers. Camp increases opportunities for interpersonal communication. No cellphones, no television, no distractions — just real conversation. 10. Learning a new camp cheer. ESF Morning Assembly cheers are the best alarm clock – nothing will make you more energized and excited to start the day! Are you ready to love your summer at ESF?